In Part 1 of the new series on “Are Some Carbs Better Than Others” I explained what Glycemic Index (GI) is; how it is a way to rate carbohydrates based how easily they raise blood sugar. If you recall, low GI foods (those with a value of 55 or less) are more slowly digested, absorbed and metabolized and cause a lower and slower rise in blood glucose levels and very high GI foods (>70) are digested very rapidly, casing a large spoke in blood sugar. High GI foods (>55) are result in a fairly rapid rise in blood sugar. The GI value of a food is determined comparing how healthy people’s blood sugar responds over a two hour period to a food containing 50 grams of digestible carbohydrate from that food compared to 50 grams of glucose (pure sugar). The drawback to this rating scale is that the values are only known for a serving that has 50 grams of carbs in it. That is, they compare the ability for different foods containing the SAME amount of carbohydrate it (50 g) to raise blood sugar. That is, the problem with the Glycemic Index is that its hard to compare foods because a serving size may have considerably less than 50 g of carbs in it. For example, the Glycemic Index of watermelon is 76, which is as high as the Glycemic Index of a doughnut, but one serving of watermelon (1/2 a cup) has 11 g of carbohydrate in it, while a medium doughnut (one serving) has 23 g of carbs. This is where the concept of Glycemic Load (GL) is much more helpful, because it tells us how a healthy person’s body will respond to the carbs in one serving of a food. One usual serving of a food would be considered to have a very high Glycemic Load if it is ≥20, a high Glycemic Load if it is between 11-19 and a low Glycemic Load if it is ≤10. The number of grams of carbohydrate in the quantity of food considered to be one serving. For purposes of comparison, let’s look at the Glycemic Load of the same foods we looked at the Glycemic Index for in the first article. 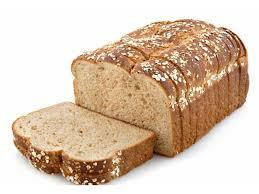 One slice of white bread has a Glycemic Load of 10 and so does one slice of whole wheat bread, which is considered low. Both have 15 g of carbs per slice. 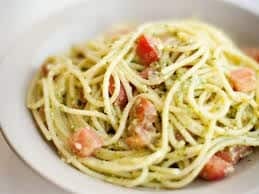 One 1 cup of cooked white spaghetti has a Glycemic Load of 25 which is considered very high and while 1 cup of whole grain spaghetti only has a Glycemic Load of 14, this is still not low, just lower than white spaghetti. 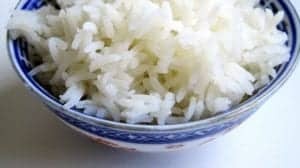 A cup of boiled white rice has 53 g of carbs in it and has a very high Glycemic Load = 35. A cup of white spaghetti has 44 g of carbs in it and also has a very high Glycemic Load at 25. These foods are high in carbohydrate and will cause a rapid rise in blood sugar in healthy people. To those who are already Diabetic or pre-Diabetic this is a big problem. 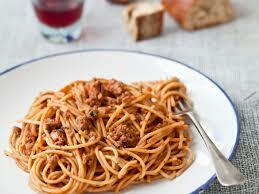 One cup of cooked whole grain spaghetti has a Glycemic Load of 14 which is still not low and has 37 g of carbs in it. 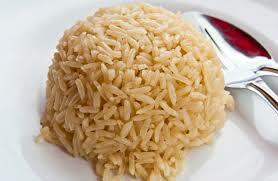 A cup of boiled brown rice has a Glycemic Load of 20 which is still considered very high and has 42 g of carbs. These foods are high in carbohydrate and will cause a fairly rapid rise in blood sugar in healthy people, let alone those who are already having problems. Eating a high Glycemic Load diet over a period of years and years will result in blood sugar after meals (called “post prandial blood glucose”) to be high. This puts a huge demand on the body to keep releasing insulin to try to move all that glucose into the body’s cells and get it out of the blood. Over time, a high Glycemic Load diet causes the body’s pancreas β-cells (beta cells) to decrease in function or in many cases, to die – resulting in a diagnosis of Type 2 Diabetes. As can be seen above, even eating the “whole grain” version of favourite foods does not necessarily reduce the insulin demand on our pancreas. Our β-cells are under continual pressure to release insulin every time we eat – from our breakfast toast or cereal, to our mid-morning muffin, to our pasta lunch. Eating a low carb diet is one very effective way to lower the demand on our pancreas to keep producing and releasing insulin to deal with the constant spikes in our blood sugar from carbohydrate containing foods. But does that mean we need to remain eating a low carb diet forever? More on that in future articles in this series. Glycemic Load will tell us how much a serving of food will increase our blood sugar but it doesn’t tell us how much insulin our body releases as a result of eating a food – that is, the demand we are putting on our pancreatic β-cells. For those that have been eating a high carbohydrate diet for years and years or have a family history of Type 2 Diabetes, knowing how much insulin is needed to process the carb -based foods we eat is hugely important, because we need to eating foods that do not put a large demand on our pancreatic β-cells. For those that already have Type 2 Diabetes, it is especially important to eat in such a way as to preserve whatever β-cell function we have left! Insulin Index, which will be covered in a future article, will enable us to choose between carb-based foods based on the demand they put on our β-cells and this is the topic of the next article in this series. If you have questions as to how I can help you choose foods that result in much less glucose being released and also put much less demand on your β-cells to keep producing and releasing insulin, please send me a note using the “Contact Me” form located on the tab above.